"Most allopathic doctors think practitioners of alternative medicine are all quacks. They 're not. Often they are sharp people who think differently about disease." ~Mehmet Oz, MD, FACS; Turkish -American cardiothoracic surgeon, Columbia University professor, attending physician at NY Columbia Presbyterian medical center, television personality and author. I began training with a master herbalist in Spokane, Washington in 1990. I studied under her tutelage for nine years and one day as is traditional for a Green Witch--one whose allies and familiars are plants and who is gifted with a drive and ability to help others heal. Since before I could read and write I have had a deep affinity for plants which told me their names. They have always communicated with me and I often knew as a very small child, which berries and plants I could eat and which should be avoided by simply holding a leaf or stem in my hand and listening for its message. I saw nothing remarkable in this for it is as natural to me as breathing. I stepped out onto this path for several reasons: I was fortunate to have been brought to the attention of a very gifted and knowledgeable elder in the Craft who was a master herbalist and upon meeting me, she was willing to accept me as a personal tutor, fitting my training into her already overburdened life for which I will always be grateful. Daily, weekly, monthly, and yearly I practiced side by side with her, learning as her apprentice how to identify healing plants, how to gather them from the wild or grow them in my garden. I memorized the dozens and dozens of general healing properties of plants, how to create teas, decoctions, capsules, pills, tinctures, poultices, and infusions. I also learned the magical properties of plants and their uses. The link between Witches and herbal healing is ancient. The village wise woman and midwife had an intrinsic understanding of herbal lore and the energies of the natural world. (If you wish to know more about this history then please follow this link.) I even learned the reason that Witches knew so much about poisonous plants and grew them in their gardens. It was not to use them on their neighbors or enemies; it was as a means to end their life during the four centuries of persecution by the Christian church which actively pursued mainly women for the crime of witchcraft. If one was taken prisoner there would be three degrees of "questioning" which involved ever greater degrees of inhumane torture. Therefore those persecuted for witchcraft would make use of the poisonous plants to end their own or a loved one's suffering. Before we go any further in this discussion--for yes I think of my blog posts as discussions: I write my ideas and thoughts and readers respond likewise--It is crucial we all share an understanding and definition of what witchcraft actually is. There are many different branches and sects of the Craft just as there are in any religion. For me it is a spiritual path that recognizes my deep ties to the earth and all nature. We evolved within its system and, try though mankind may to divorce ourselves from nature and seek dominion over it, we are all of a part and as ill or well as the whole. Witches recognize everything in nature has energy, and just as Einstein so elegantly phrased it, we too understand that energy never dies--it only changes form. Witches are often born gifted in working with nature energy although it takes training to bring this under a discipline that allows one to use this energy wisely and ethically. We have no dogma except this: An' it harm none, do what ye will, for whatever thee send out to the world will return to thee threefold." Those who practice unethical twisted magic are called followers of the left hand path. There is no such thing as white and black witches. There is only energy and how it is used and to what end, bearing in mind the Wiccan Rede, above. Out of my studies and practice I realized I could keep myself and my children healthy and out of the doctor's office which was essential. I was a full time student at Eastern Washington University and I had no medical insurance. I was thirty three years old and I would not have medical insurance for myself until I was thirty eight and working for Spokane Public Radio. I still could not afford insurance coverage for my children. I was grateful they were finally eligible for coverage by the State of Washington for minors living in poverty which my $16,000.00 a year job classified us, as working class poor. In America we don't have social class distinctions as they exist in Britain. Our class system is economic: Indigent or poverty stricken (no income and no means of support), working class poor ($6,000.00 to $26,000.00 per annum), working class ($26,000.00-$34,000.00 per annum), lower middle class ($35,000.00-$75,000.00 per annum), upper middle class ($100,000-$350,000.00 per annum), and wealthy. 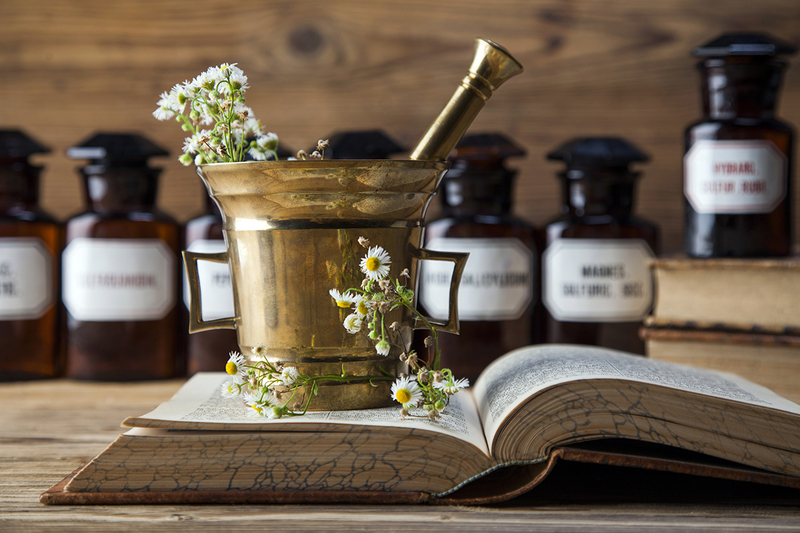 Herbal medicine and other alternative complementary medicines allowed me to keep my children healthy in a manner I could afford, and which I believe is better for all of us in the long run. It also placed the empowerment and responsibility for good health in our hands. My youngest daughter broke her arm on a local playground about a month after we moved to Eastern Washington. It was Independence Day weekend. The break was sufficient to require surgery twice and three ambulance rides between three different hospitals for the closed site surgery, angiogram, and open site surgery with hospital recovery time of ten days. In 1989 that cost me $10,000.00 and it took me years of making payments as I fell behind and eventually had to go through bankruptcy courts because interest on the unpaid debt carried it to a total of over $20,000.00. That said I do want to underscore that while medical care in America is expensive, we at least know how much everything costs, we know nothing is free, and while a physician may set himself up in private practice, when a doctor takes on a patient he works for that patient which I believe more often than not produces much better outcomes now than doctors working for a large corporation be it private or government funded. Americans go into the doctor's office armed with knowledge and eyes wide open and we expect to develop a doctor/patient relationship for our benefit. I am not saying American medicine is perfect because no system created by humans ever is and I want to underscore this idea. Studying Marxism at University taught me that one may develop some really elegant theories but the minute they are put into practice there must be a recognition that the wild card in any theoretical system is always the human beings involved in it and we humans have a gift for f*****g up anything we touch! My studies began and were underpinned by my studies of the Craft of the Wise as it is known in some circles. I don't call it Wicca because that is a New Age label and what we practiced was very "old age," if you grasp my meaning. If others need to pin a label on what I am and how I practice then I am most comfortable with Hedge Witch, or Green Witch. I seek nature first and foremost in all I do in order to find answers, healing, and direction in life. This does not mean I scorn allopathic medicine. It means I recognize it has limits like everything else and in the 21st century too often modern medicine practitioners prescribe chemical pharmaceuticals to treat symptoms without taking time to really know and treat their patients and their actual illness. Allopathic medicine is brilliant at diagnostics and surgery. I believe modern medicine lost its way when it climbed into bed with the whore that is now Big Pharma. I've had friends and colleagues who were on as many as nine different drugs, with most of them counter indicative to one another, creating a perfect storm of illness that placed these individuals in hospital, required surgery for symptoms, and I've seen many loved ones mis-diagnosed and mis-treated and a fair few have died because of pharmaceutical drugs and their very potent side effects. As those of you who have followed this blog for years know, my lovely husband Les died not of Colo-rectal cancer from which his body was slowly healing; he died from a second line bone carcinoma which developed in his lower spine as a result of radiotherapy he was forced to undergo in order to have the cancer surgery he needed. I recognize these issues also occur with unscrupulous so called "snake oil salesmen", however allopathic medicine is the mainstream even going so far as to demonize alternative medicine and therefore it has a much larger responsibility for which to answer. It is important to understand one of the key distinctions between allopathic and natural or alternative medicine: herbalists recognize that nature/God/Goddess--call it what you will--in its wisdom allowed plants to evolve in every continent of this planet (save Antarctica in its present icy state) which heal a multitude of illnesses with which animals may heal themselves and yes, we humans are animals and a part of the chain of animals in nature. The healing efficacy of certain plants was recognized by apothecaries. Modern pharmaceuticals began in the mid 19th century when apothecaries moved into wholesale production of drugs such as morphine, quinine, and strychnine, and dye and chemical companies that established research labs and discovered medical applications for their products. Pharmaceutical labs find a promising medical use for a plant and it is taken into the lab to break down its components to identify the main active ingredient which is then developed into a drug, undergoing field tests in order to allow drug companies to manufacture the formula for profit. In doing so the pharmaceutical and chemical companies are attempting to create a miracle cure marketed as a magic bullet. Aspirin is a perfect example of this system in operation. Plants with analgesic power to reduce fever, pain, and inflammation have been recognized for many thousands of years. The Egyptians and Greeks used White Willow bark tea to treat their patients. By the 19th century chemists were tinkering with the active ingredient in Meadowsweet (Filipendula Ulmaria), a lovely honey scented plant growing everywhere along river banks and known for the same properties as White Willow Bark. In 1853 a chemist by the name of Gerhardt teased out the active ingredient and named it acetylsalicylic acid. In 1899 chemists working for the German drug and dye company Bayer developed a chemical means of synthesizing acetylsalicylic acid and Bayer named their synthetic chemical Aspirin. Herbalists on the other hand recognize the healing power of the whole plant. We understand that all the constituents of a plant's chemistry work synergistically to produce healing. With the magic bullet Aspirin also comes the side effects of acid stomach and prolonged use causes leaky gut syndrome as the gut mucosa is destroyed by this acidic compound leading to other diseases such as IBS. Meadowsweet capsules or White Willow Bark tea on the other hand, having all parts of the plant included do not produce the same side effects so in my estimation as a master herbalist its healing power is much greater than synthetic Aspirin. To put it short and sweet all the chemicals in a plant are in there for a reason and all of them act upon one another to effect safe, effective healing. With herbal treatments time is the other piece of the antidote to healing. Herbs take longer to effect many cures because the entire plant is far more complex than an isolated active ingredient (magic bullet) and time is necessary for the human body to experience the full healing process without nasty side effects. Nature in its great wisdom understands that time is also a healer and natural bodies require time for healing to have a lasting effect. Okay that is the theory behind all of my knowledge and experience. Onward then...it is crucial to recognize that I am not a physician. I do not diagnose illness or prescribe medications. If someone comes to me for a consultation and they have not seen a doctor, I can only point them in certain directions based on their symptoms but it is always best if folks go to see their GP and seek a professional medical diagnosis. It turns out that a lot of the time I am correct in my directions, but still, a formal diagnosis by a doctor is essential and I like to think the information I provide to my clients helps them have an intelligent and measured conversation with their physician which will hopefully move the diagnostic process forward. For those who decide for whatever reason, to pursue natural medicine alternatives as a means of addressing a disease or illness, and who ask me to consult for them, I first require the diagnosis and any suggestions or recommendations of their GP. Then I spend hours and hours, usually several days, researching alternative treatments backed up by nearly thirty years of experience as a university researcher and I also do a guided meditation on that person, asking for assistance in finding the most effective remedies for them. Each human being and their 30 trillion cells are as individual as a snow flake or a leaf, and what works for one person may not work for someone else. I write up my recommendations with links for places where any of the needed herbs or other items may be purchased. I also include straight forward directions on how to use everything I recommend and for how long. I always ask that clients let me know how they are doing and check back in with me. In the past I have always provided consultations for free as a part of service to my community as a priestess of The Goddess. Now what you may ask does that mean? A Witch is always a Witch at his or her own altar; a Witch called to serve the community is a priest/priestess who offers themselves in service others. I was consecrated as a priestess called to serve my community in 1995 and I have designed and partaken in small group and large community rituals in my community. I gave my practice of herbalism to my community for free as a token of thanks to the Goddess for embracing me and showing me my path though this life. There is a saying in the Craft: Witches heal. But one must first heal one's self before truly being able to heal others. I did so when I researched and undertook a two and a half year alternative treatment for ovarian cancer. That was in 2009 and I am still cancer free. When I provide a consultation I never bring my spiritual background or beliefs into it. I have chosen to illustrate my beliefs in this post so that others may know how I came to be a master herbalist, why I chose to do so, and what informs my practice. Healing and herbal medicine as well as working with plants are part and parcel of the Craft. Not all who practice medicinal herbalism come to their practice in this way 'nor do they need to, but I did. Now that I am widowed and no longer have Les' support and loving care I find the need to develop a means of supporting myself. After a long and agonizing meditation about this, and with the support of dear friends like Marilyn McDonald on NB Waka Huia, who wrote an honest recommendation on my services under the comments in my last blog post, herbalist Kit Alcott on NB Mudlark, and others who have suggested I undertake to use my knowledge to support myself. So my shingle is hanging out now and I am open for business. Please contact me for specifics as to fees and with any questions you may have. I wish you all good health, great love, deep joy, and peace. WOW .. splendid idea Jaq. I know I've benefited from your wise counsel and great energy in the past. I recommend you lady! Do what you know best, to survive.